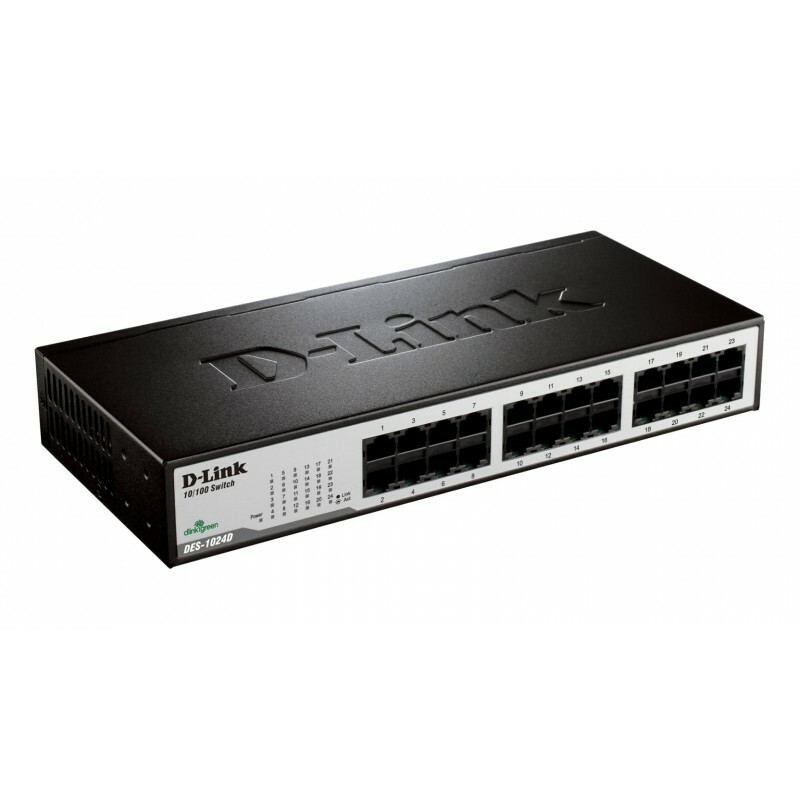 The 24-port D-Link DES-1024D unmanaged switch is the latest addition to D-Link’s popular line of Express EtherNetwork™ products. Like other products in the line, the DES-1024D combines ease of use with unsurpassed performance resulting in an exceptional value for any cost-conscious network administrator who wants the best possible solution at the best possible price. 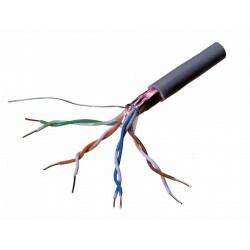 The DES-1024D is truly Plug-&-Play with features like: Auto Speed Sensing — allowing it to automatically sense whether a network device is running at 10Mbps or 100Mbps then automatically adjusting itself for optimal performance; Auto-Negotiation (Full or Half Duplex) — negotiating and running the highest supported transmission rate whether at Half- or Full-Duplex; and Auto MDI/MDIX Crossover—offering auto-negotiating MDI/MDIX detection on every port to eliminate the need for crossover cables or uplink ports. The DES-1024D features a non-blocking wire-speed architecture with a 4.8Gbps switching capacity, for maximum data throughput. It also features an integrated universal power supply, and per port diagnostics LEDs that make it easy to “spot check” for problems. With wire-speed filtering and Store-and-Forward switching, the DES-1024D also maximizes network performance while minimizing the propagation of bad network packets. Each DES-1024D includes free technical support and is backed by a limited 5-year warranty. Support materials include documentation in Acrobat pdf, FAQs, an installation guide, and a product manual. 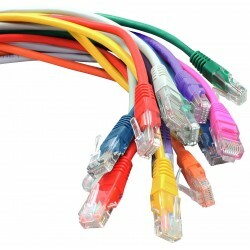 This intelligent, easy-to-use 10/100BASE-T swich will enhance and compliment any existing network infrastructure and deliver the performance that IT managers and other SMB network administrators demand.